In light of recent events, you may have thought news of the Royal Wedding was over. Not true, guys! Although I'm not here to discuss the wedding, I am here to talk about my favorite part of all events -- the food. The groom's cake for this wedding was called a "chocolate biscuit cake". It really wasn't a cake at all, but a ganache mixed with McVitie's digestive biscuits. At the end of the day, it's a candy bar. It was my mom's idea to make it because I was a bit put off by the cake when I first heard of it. I'm glad we made it because it truly is a delicious dessert. First ingredient is good chocolate. You can use your favorite. Chocolate chips take a little longer to melt, but are good to use, too. Since you need about 11 ounces of chocolate, it's more economical to purchase one bag instead of 3 bars of chocolate. 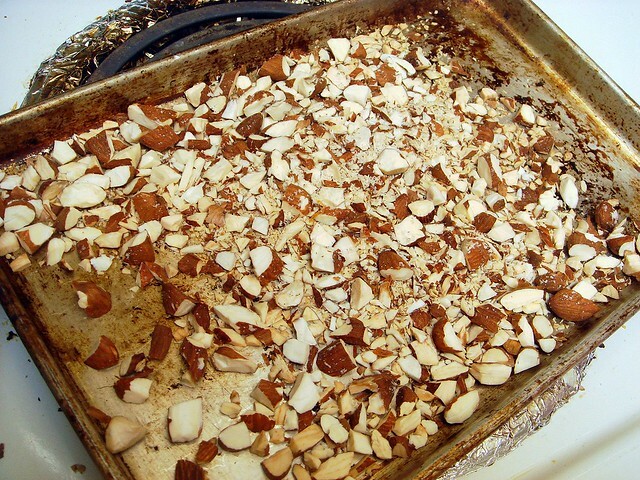 Almonds get chopped and toasted, giving the cake some crunch. The animal crackers get soft after a day so you can add more almonds if you want. 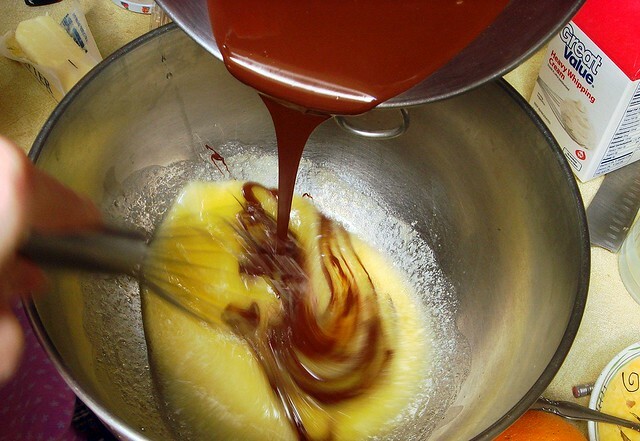 Melted chocolate and butter get whisked into eggs beaten with sugar. The eggs give the chocolate a different texture, more fudgy and soft, than just cream will. If you're worried about salmonella, add a teaspoon of lemon juice. The heat from the chocolate might not be enough to cook the eggs. 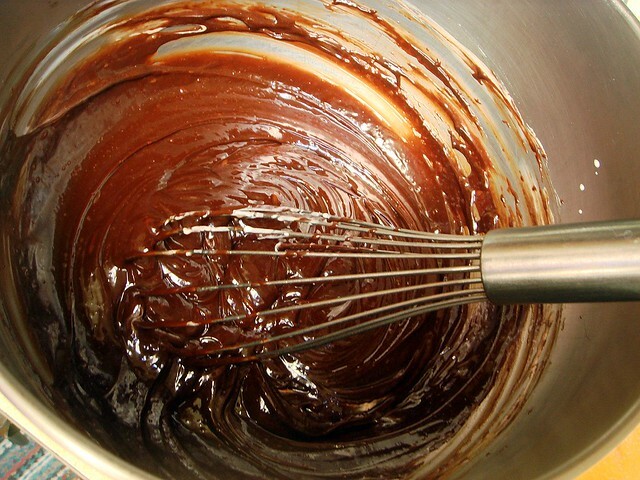 Once the chocolate is blended in, the mixture begins to get stiff. 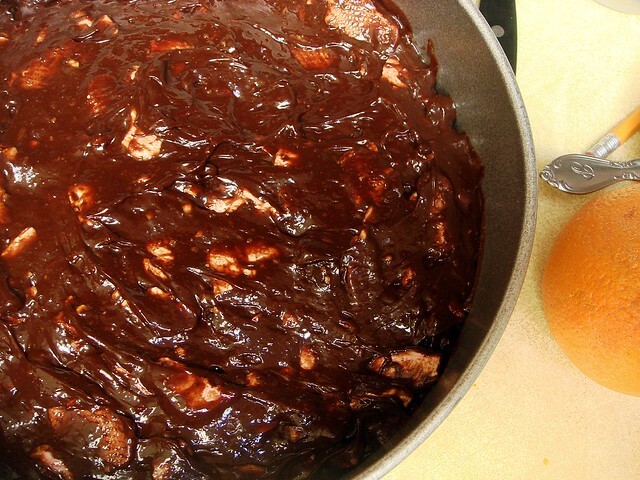 We added heavy cream and a few tablespoons of the orange juice used to soak the raisins and to lighten the chocolate. Here are the raisins. In the background, you can see the animal crackers being mixed into the chocolate. McVities weren't available, though I know I saw them once. I like the animal crackers in place of graham crackers, which get soggy really quickly. After everything is mixed together, it gets smoothed into a springform pan, greased and lined with parchment paper. This was refrigerated a few hours, though you could also make it a day ahead of time so it chills overnight. I highly suggest this cake. Although it's not a cake in the true sense of the word, as someone might point out to you, everyone will like it anyway. The cake isn't as heavy as you might think, and the orange gives the chocolate fruity undertones. Now that I've made this, the idea of a layered chocolate biscuit cake covered with ganache icing seems incredible! 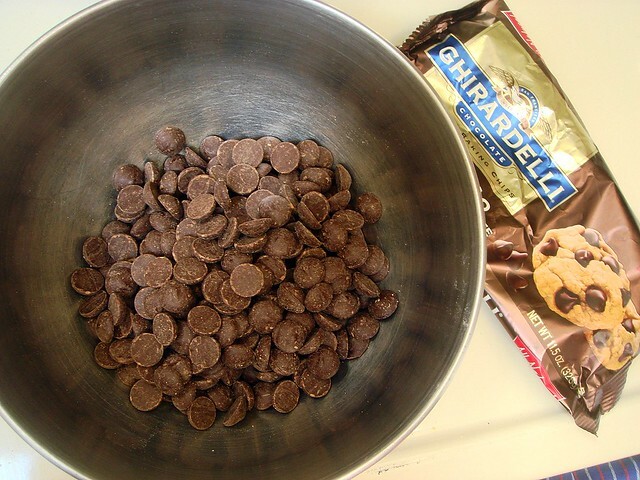 Melt chocolate in a mixing bowl placed over a saucepan of gently simmering water. In another saucepan (or microwave-safe bowl) melt butter. In a large mixing bowl, stir together the eggs, sugar, and heavy cream until mixed well. Add melted butter and chocolate. 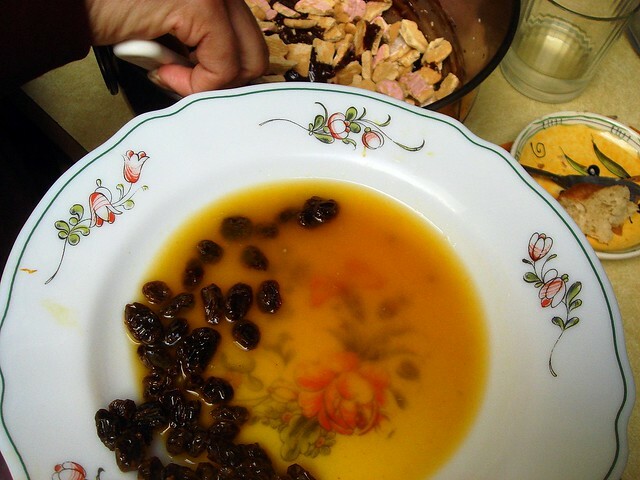 Add orange zest, raisins, 3 tablespoons reserved soaking liquid, and nuts to the chocolate mixture. Gradually fold in the crushed biscuits (or graham crackers), until biscuits are evenly distributed throughout the chocolate. 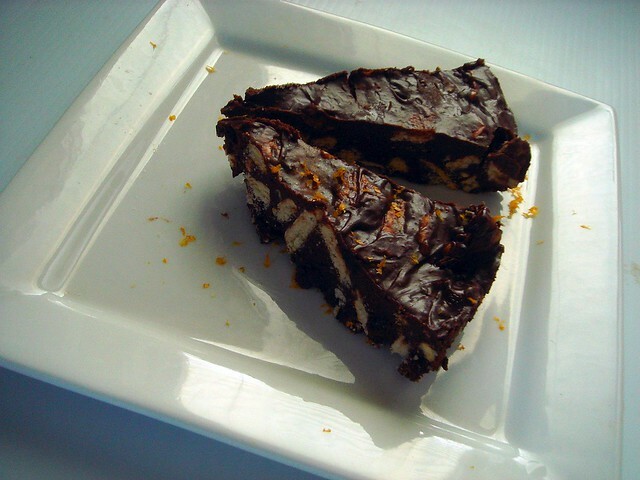 In a greased 8-inch springform pan lined with parchment paper, spread the chocolate mixture and smooth out evenly. Cover entire pan with plastic wrap. Refrigerate for 5-8 hours, or overnight. Cut into thin slices. I love that you used animal crackers! What a great dessert!